As I begin to wrap up my time at the University of Iowa, one of my goals is to fill in the gaps in my sports portfolio by shooting the few remaining sports I haven’t shot yet. 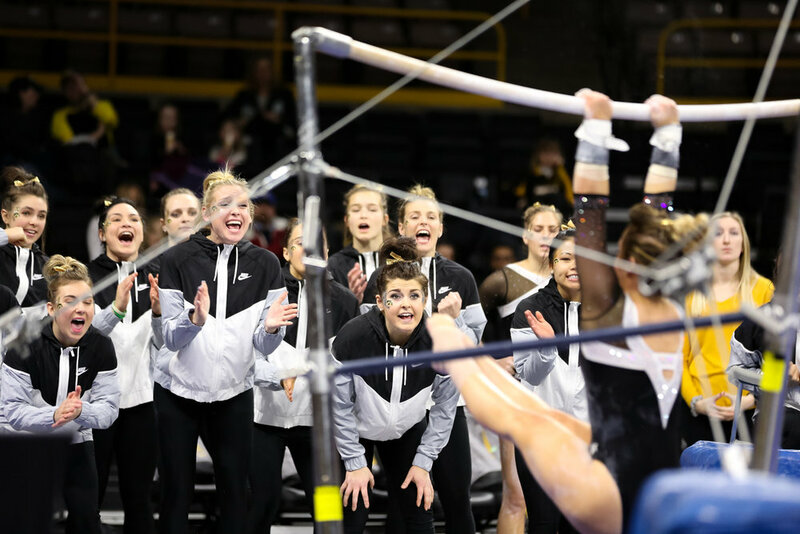 Fortunately, I’ve been able to shoot almost everything the University competes in, with one notable exception—gymnastics. Well, that hole got finally got filled after I lucked into a women’s gymnastics assignment. As for the sport, what to say? It’s great—high action but in discrete moments, easily allowing you to reposition and set up new compositions. And you know where the competitors are going to be—no need to go chasing any action. Nothing is going to beat Football or, of course, Field Hockey in “favorite sports to shoot” list, but this was a fun assignment—hopefully it wasn’t my last exposure to this sport. 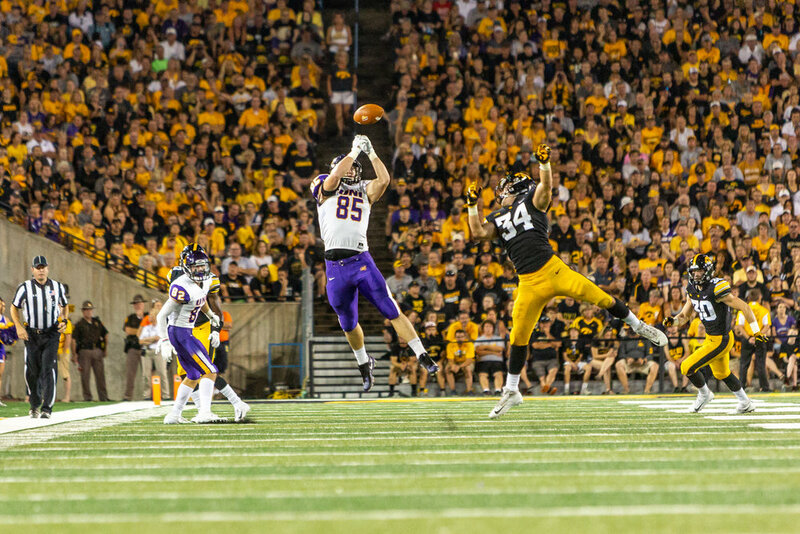 Had the chance to get back to sports photography last night when I shot the Iowa-Michigan State game. 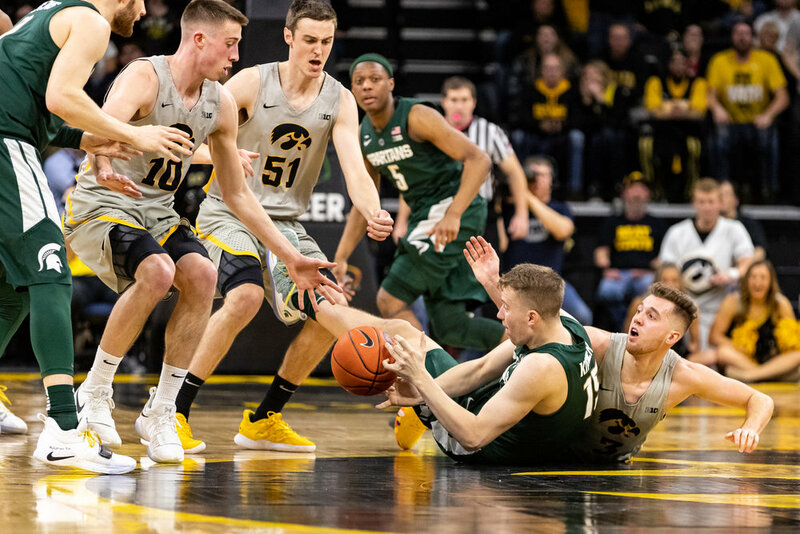 Unfortunately, things didn’t go exactly as the Hawkeyes planned and after a gritty first half , the game got away from Iowa early in the second and they wound up on the losing end. 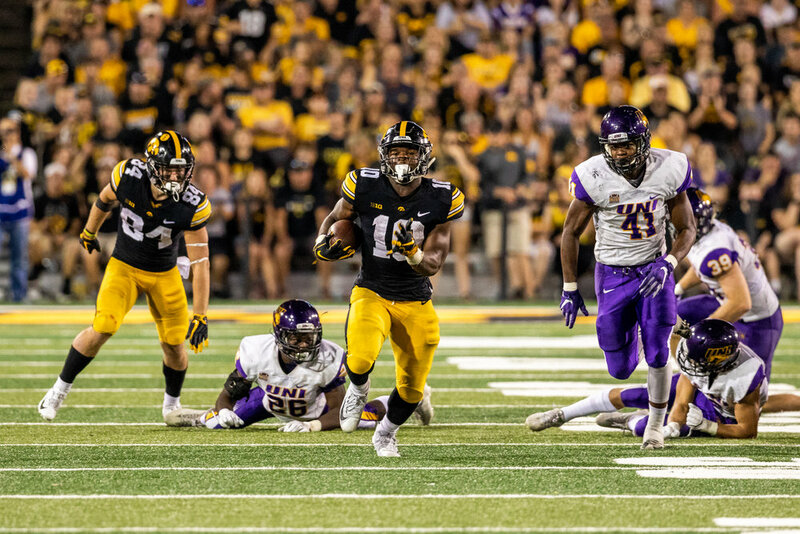 Still, I got what we needed for the paper (always the first goal) and, if nothing else, Tyler Cook (Iowa’s #25) is always a fun player to photograph. 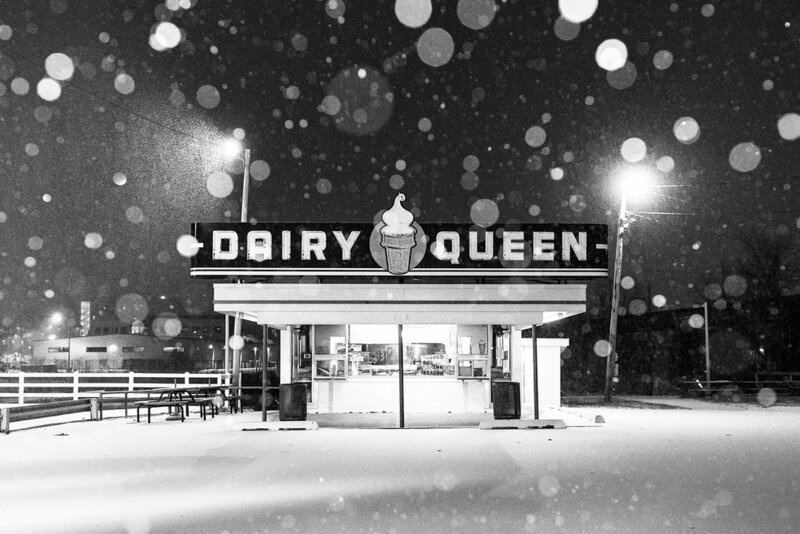 The photo coach at my newspaper turned me on to the work of Todd Hido before the holiday season and I spent a few days laying on the couch and going through his work. 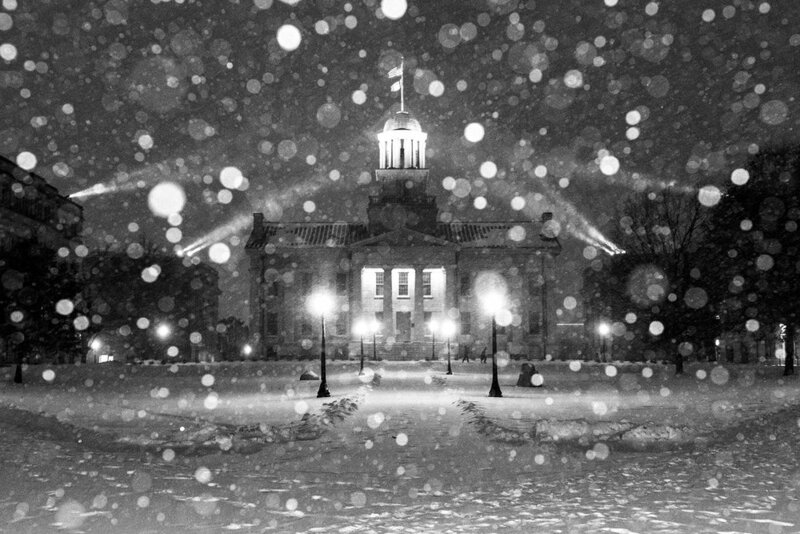 While it was a mild December here in Iowa City, January has made winter great again and so I’ve had a couple of opportunities to stumble around in the snow and practice trying to integrate flash into my urban landscapes. Still a work in progress, but I’ve been pleased by some of the results. 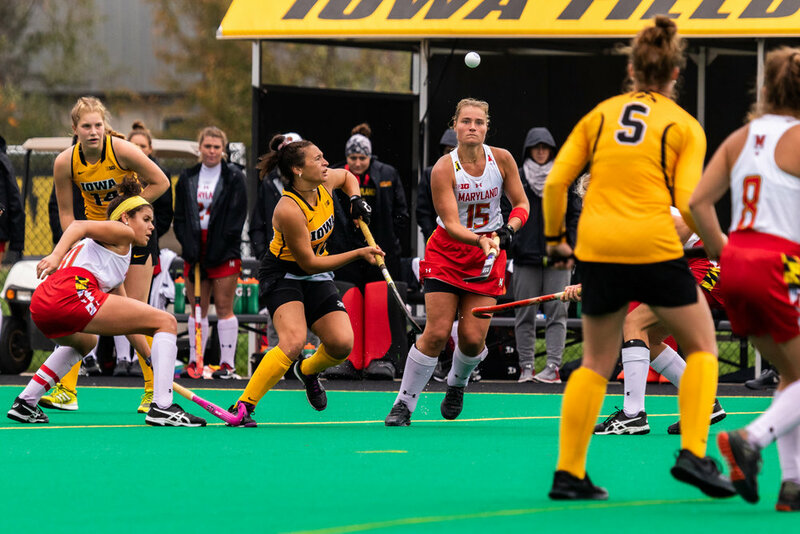 Since Iowa isn’t known for being a field hockey state—the sport isn’t played at the high school level here—the University of Iowa team has go far afield to find players. As a result, a number of the players are from overseas—a couple of continental Europeans but mostly Brits, Aussies, and Kiwis. 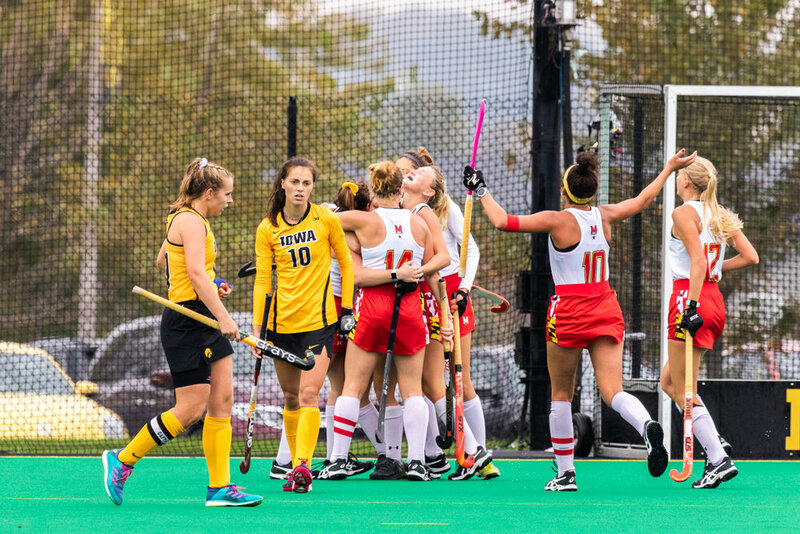 One of the team’s standout internationals, is a sophomore from Tasmania by the name of Maddy Murphy—I was lucky enough to shoot her first hat-trick as she single-handedly took down no. 6 Penn State on a fall evening. 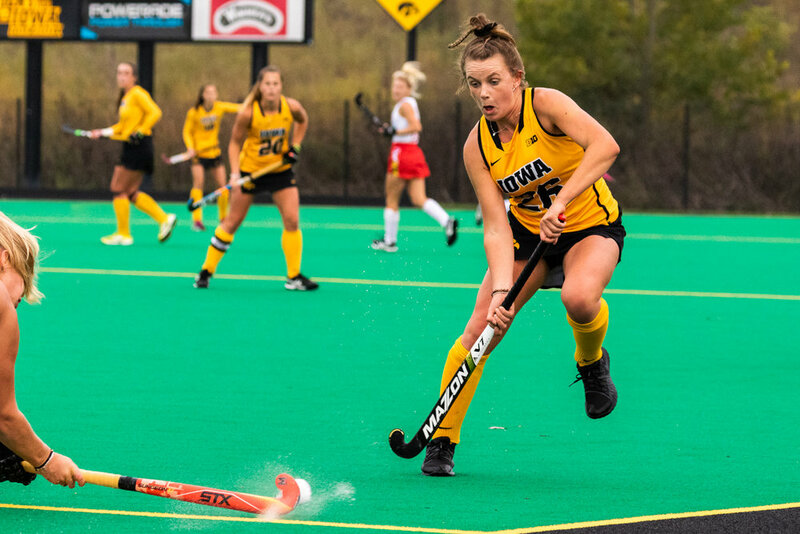 I’m sure losing home finale 2–1 isn’t the way that the Iowa Women’s Field Hockey wanted to close out the season. But honestly, losing to the #2 team in the country—while disappointing—can hardly be called embarrassing. 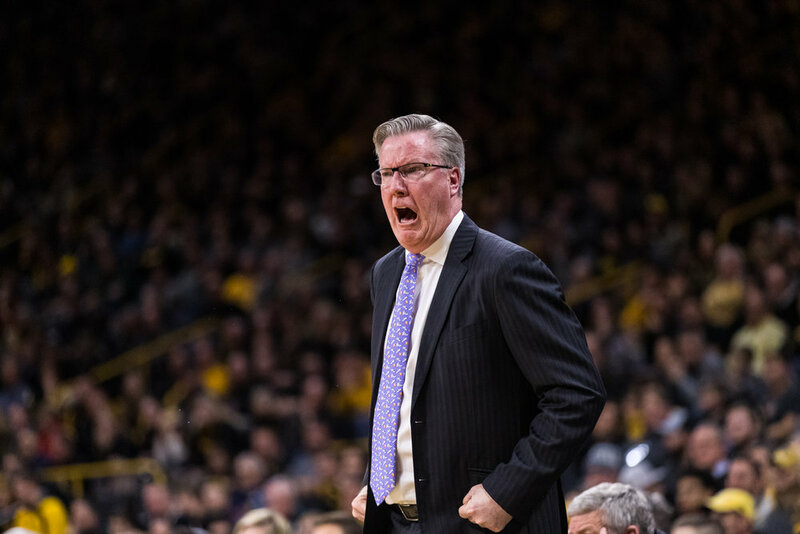 And, quite frankly, this team is nowhere near done—currently ranked #8 as I write this, they still have the Big 10 tournament to go and—assuming they close out the season strong—should probably make the NCAA tournament as well. And, even better, if the seedings for the Big Ten work out, there should be at least one more home game. Which is good, because I really want to reshoot the first photo in this series . 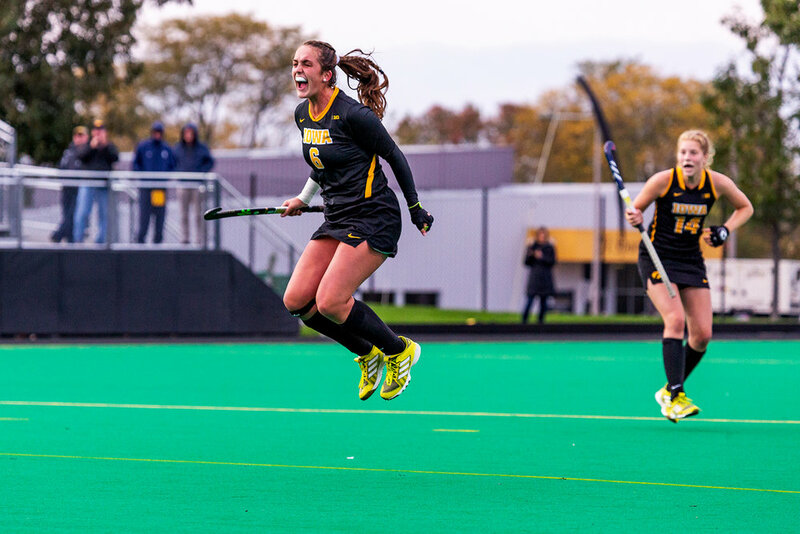 . .
During my time shooting for the Daily Iowan, if you asked me what my favorite sport to shoot is, I'd say women's field hockey. Sure, shooting football and basketball are great—they're the prestige sports and there really is nothing like being on the sidelines or courtside and having the privilege of shooting them. 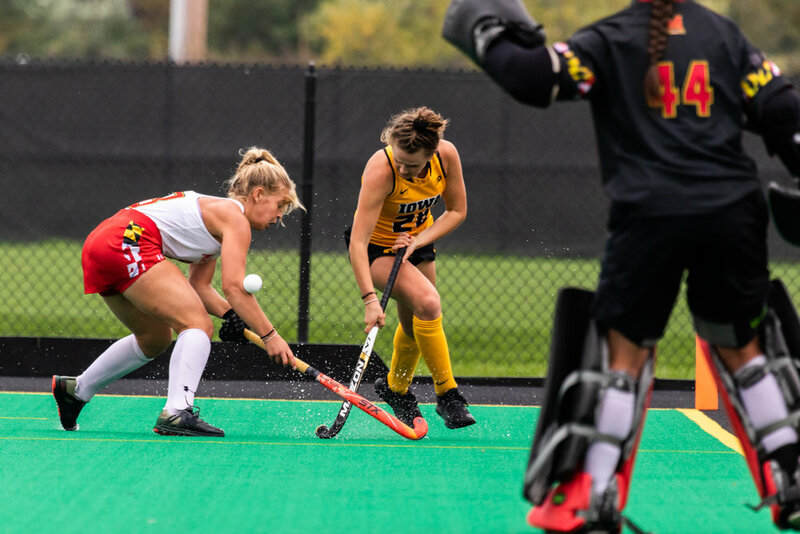 While the sports pages might not teem with field hockey coverage though (er, well, except for the DI) it really has become a favorite of mine to shoot. Why, you ask? Well, for starters, the games are short—two 35 minute halves and a 10 minute halftime. Get in, get out. But more than that, it's outside so the light is generally good, it's fairly high action so you can get some fairly dramatic shots and the field isn't that large so you're closer to the action than in something like soccer. 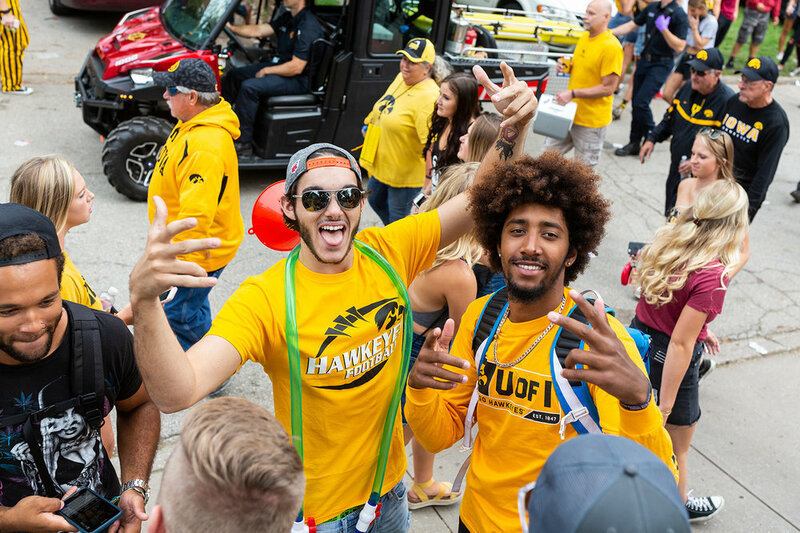 And Iowa's team, while maybe not great, is pretty good and certainly entertaining. 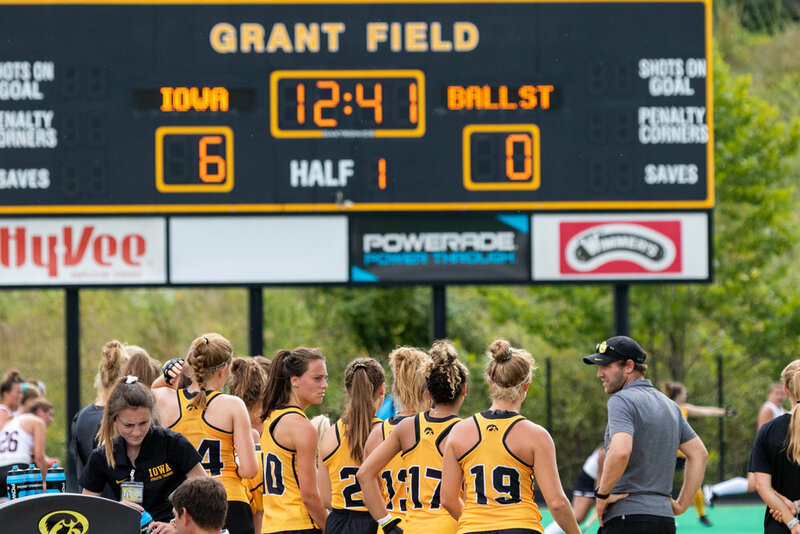 I shot my first field hockey game of the season today and Iowa hung seven on the opposing team. More of that ladies.